Her hair was finely curled, her cheeks were lined with rouge, and her dress was a flowing green and blue which made her look rather like a tired, old peacock. The previous sentence is an example of bathos: an abrupt turn from the serious and poetic to the regular and silly. Rather than likening the woman to a beautiful bird, she is compared, surprisingly, to a tired, old peacock. He spent his final hour of life doing what he loved most: arguing with his wife. Whereas the description of someone’s final hours is usually respectful and solemn, this one is surprisingly and unexpected humorous due to bathos. After training for the entire year and successfully running his first marathon, Ben was desperate, nearly insane, for a saturated fat-filled chocolate bar. Expected needs would include water and food, but the urge for junk food is surprising in a star athlete. She urged her friend to reconsider her decision, as she could be making a huge mistake wearing a green, short dress rather than a long, red dress. Serious, life-changing decisions usually do not concern wardrobe changes, but a sentence using bathos does. Bathos, when unintentional, shows how easily serious scenes and subjects can be undermined by poor writing as the serious tone turns into a ridiculous and hilarious tone. When intentional, it shows just how funny it is when such serious scenes are abruptly interrupted by unexpected and silly subjects or circumstances. Typically, serious moments are separated from comedic moments. When they are combined through bathos, the sudden change in tone surprises the audience with the unexpected comedic touch. Bathos provides literature with a comedic touch when serious scenes twist into something unexpectedly funny. When Husbands or when Lap-dogs breath their last. Hilariously, Pope places lap-dogs and husbands on the same level for the sadness they cause when they die. You know,” said Arthur, “it’s at times like this, when I’m trapped in a Vogon airlock with a man from Betelgeuse, and about to die of asphyxiation in deep space that I really wish I’d listened to what my mother told me when I was young. In this scene, an extremely emotional moment just before a man’s death turns comedic when he cannot remember his mother’s advice he so wishes he’d paid attention to. The Answer to the Great Question… Of Life, the Universe and Everything… Is… Forty-two,‘ said Deep Thought, with infinite majesty and calm. In this scene, the meaning of life, one of the most serious questions of all, is found to be something as seemingly trivial as the number forty-two! In this last example, the expectation is, naturally, something will happen. Instead, nothing continues to happen in a surprising and comedic use of bathos. 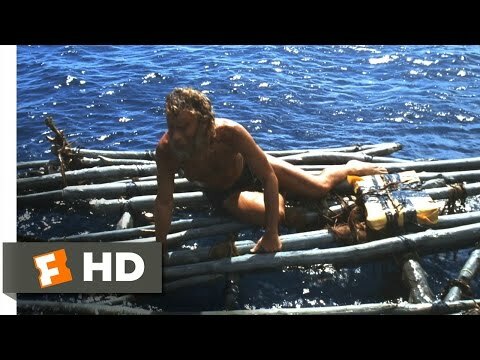 The protagonist of the movie Cast Away, Chuck, creates an example of unintentional bathos when he emotionally breaks down after he loses what has been his only friend while stranded on an island: a Wilson brand volleyball. Although this scene is meant to be emotionally compelling, it is somewhat hilarious in that such despair is spent over a volleyball rather than a real person. As film critics would say, how bathetic! 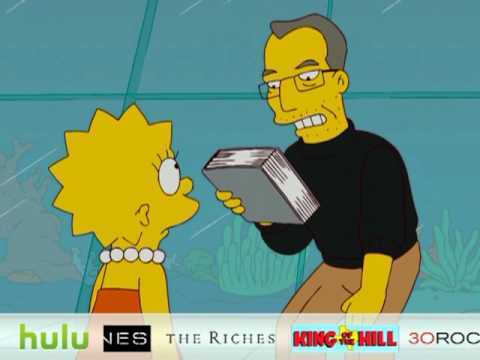 Lisa: Mr. Mobbs, I sort of downloaded too many songs onto my MyPod and I don’t have the money to pay for them. Do you think you could consider a reduced payment plan? Steve Mobbs: I’m sorry. I know our posters say ‘Think differently,’ but our real slogan is ‘No refunds’. Lisa: [tearfully] Can’t you open your Mapple menu and click on the compassion bar? Oh, please. Steve Mobbs: Lisa, how would you like to work for Mapple? Lisa: [perking up] Would I ever! Lisa: [bland and bored] Think differently. Think differently. Think differently. [sighs] Think differently. This is an emotional scene: Lisa Simpson is in tears when she is offered a job by a technological genius. That job, unfortunately, is to hand out flyers in a MyPod outfit. Like bathos, anticlimax results in a change in tone from serious to random or trivial. Opposite to climax which is expected to be dramatic and exciting, an anticlimax is disappointing and boring. Anticlimax and bathos are considered by many to be synonyms. There are a few differences between bathos and anticlimax, though. For one, bathos can happen any time in a narrative, whereas anticlimax happens when a climax is expected and does not occur. For another, anticlimax is used intentionally whereas bathos is sometimes used unintentionally. Upon hearing her husband has died, a woman breaks down crying, cradling the phone. This emotional scene is an example of pathos. Upon hearing her package is going to be late, a woman breaks down crying, cradling the phone, wishing she had ordered via priority mail instead. Such an excessive emotional scene abuses pathos, resulting in bathos—rather than being sympathetic, the woman is silly for her dramatic and unexpected emotional outburst over something so trivial. Bathos turns tear-ridden, serious, emotionally-compelling scenes into awkward, twisted, and comedic scenes in just a moment. Whether on purpose or by mistake, bathos provides audiences with an unexpected laugh.